As part of the new presence in the DC area, you’ll see Chase out and about at various events (DC JazzFest, for example), destinations, and happenings that make the region so unique. 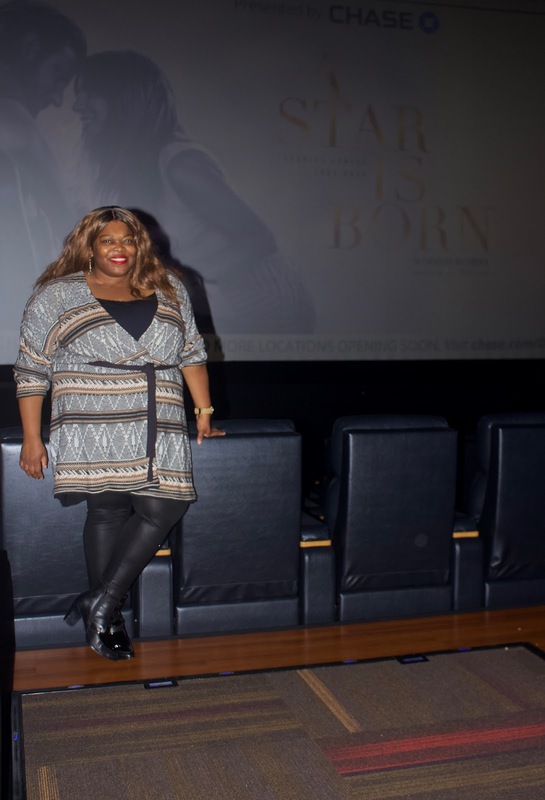 One of the happenings took place this past weekend as I had the opportunity to attend a movie screening. 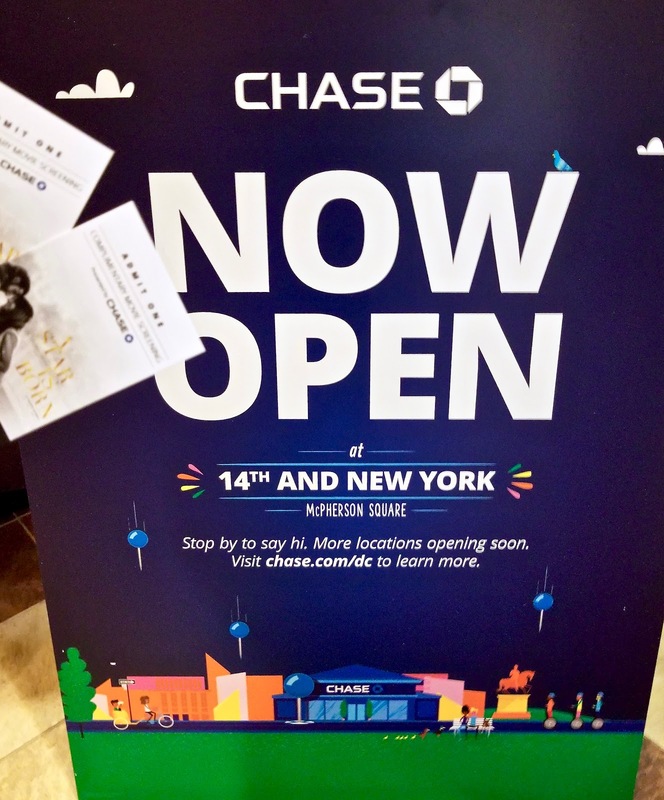 Before I get into the movie, a little fun fact – JPMorgan Chase is opening up to 70 new branches in DC, Maryland, and Virginia. In doing so, more than 700 new employees will be hired. That’s pretty amazing! 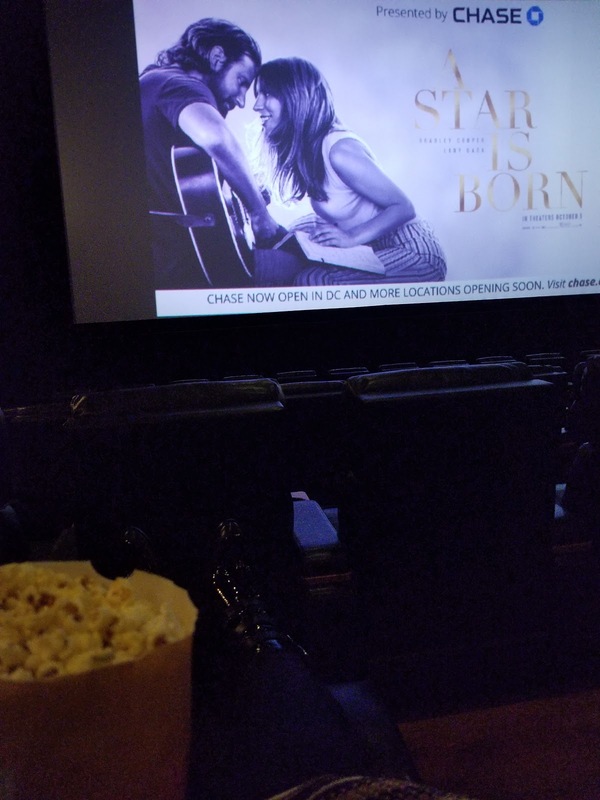 I was invited by Chase to a screening of A Star is Born at Regal Cinemas. Located inside the popular Gallery Place in downtown DC, Regal Cinemas is a local hot spot which truly embraces our community’s love for film and culture. Did it live up to the hype? A teeny bit. 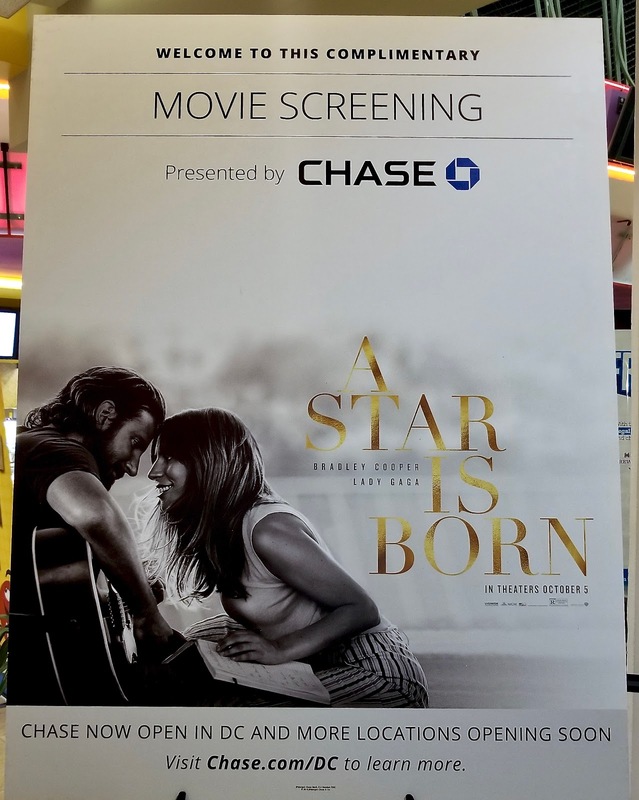 It was a good musical romantic movie following the up and down relationship of Jackson Maine (Bradley Cooper) and Ally (Lady Gaga). You see, Jackson stumbled upon Ally singing at a drag bar, and well, the rest is history. With Jackson's guidance, Ally finds herself in the limelight but also sees the dark side of her mentor-slash-lover. Meanwhile, I can't stop thinking about the name Jackson Maine. What a name. Whoever thought of that name deserves a raise. Anywho, the acting was well done. It was nice to see some familiar faces I wasn't expecting (hey, Dave Chappelle and Eddie Griffin). The music was superb (save for one pop song) and I very much plan to get the soundtrack. Awards season is gearing up and A Star is Born will likely get a whole bunch of nominations. Which I'm fine with...all because of Lady Gaga. I'm so freakin' happy for her! Learn more of what else Chase has in store for the Washington, DC area here. I can't wait to see how Chase will make its presence seen at Taste of DC later on this month. Be on the lookout.